Duncan wins the Ashley Cup! 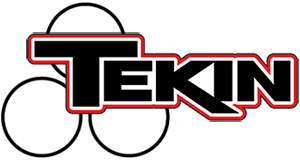 – Tekin – Smaller, Smarter, Faster! Duncan wins the Ashley Cup! Ashley Cup March 22 2015. (http://ashleycup.com/) was held at Bechard Rc Raceway @ Glen Helen race park. There were about 37 entries in U4RC with 5 different classes to race in. It was not a point’s race but to show support and help raise funds for the Ashley cup. 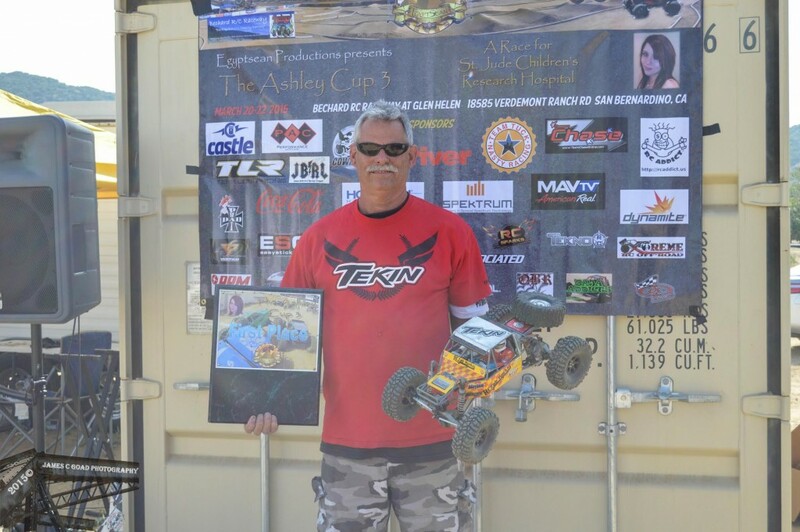 Tekin team driver Mike Duncan drove in the 2.2 open class which has the Axial Yeti’s, the 1.9 Trophy class which is all hand built vehicles, and the 2.2 Trophy class which is also a hand built class. The races consist of two 8 min qualifiers and 10 mains. 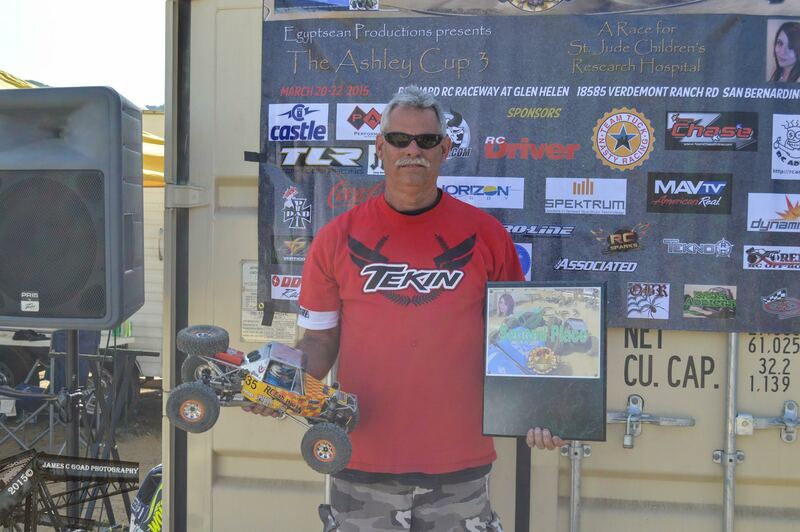 In the 2.2 open class Duncan raced his Tekin Rx8 Pro4 powered Axial Yeti. I had good qualifying heats and placed second in the second heat. For the main I started on the front line and got a good start and stayed out front the whole race and took the win. 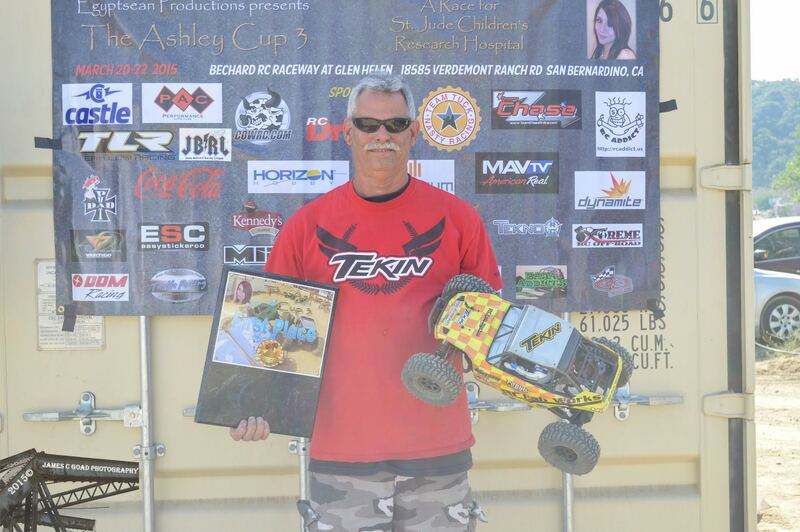 Mike Duncan also took the 2.2 Trophy class win as well running a Tekin Rx8 esc Pro4 4000kv motor as well.